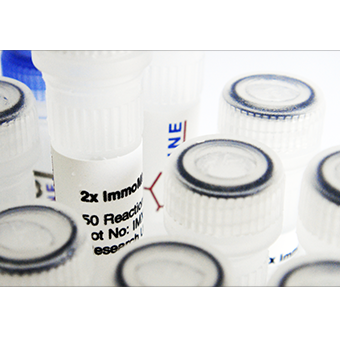 IMMOLASE™ is a heat-activated thermostable DNA polymerase and provides high yield (fig. 1) and improved specificity when compared to standard polymerases. IMMOLASE can eliminate the presence of non-specifics such as primer-dimers and mis-primed products. IMMOLASE is inactive at room temperature and requires activation by heat treatment for 10 minutes prior to PCR cycling (fig. 2). This provides greater flexibility in reaction set ups and allows the premixing of PCR reagents at room temperature. Subsequently, the reaction can be handled according to preferred protocols for thermostable DNA polymerases.